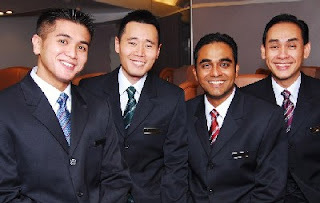 The Black Flag Cafe© • View topic - HOT Asian Stewardess Pictures Mega Thread!!!!!!!!!! HOT Asian Stewardess Pictures Mega Thread!!!!!!!!!! Re: HOT Asian Stewardess Pictures Mega Thread!!!!!!!!!! this thread should be reborn, and i know this is a really dumb question but how do you post pictures? z911hyper wrote: this thread should be reborn, and i know this is a really dumb question but how do you post pictures? Open up one of them Photobucket type accounts and post away OR if it's from the web just c&p the image address onto the post and hilight it with the Img button in the tool bar above. Aren't they wearing too much clothing?